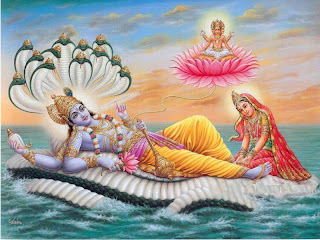 Ekadasi vratham is observing total fast (suddha upavasam) on Ekadasi tithi. Those who cannot observe a complete fast, the elders and children are permitted to observe this vratham by taking fruits and milk. People fast on 'Ekadasi' day and have 'Dwadasi Paranai' (special food or thali) on the next day which levels the acidity and the menu by itself is fantastically medicated. 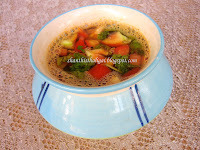 We don't use tamarind for this thaligai(samayal). The menu is as under: Click on the numbered recipe names for the link. Photos of the recipes are towards the end of this post. Tastefully done page. 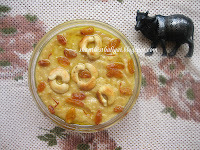 the authentic recipes for that particular day is a good reminder that we lost lot of habits in our rushed lives. Agathikeerai is difficult to get. Other s can be managed. 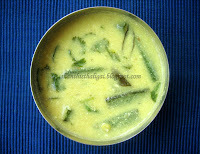 wow wow wow, calls for a feast, i must try the nellikai thogayal sometime... elaame paarka super a iruku. hope u had a blissful vaikunta ekadasi yesterday! Nice post and great authentic dishes. I wish I could get some nellikai here, my faily just love them..
Really very good to see. Of course we have been observing in our house more than 60 years. Typical iyengar thaligai. perfect dwadasi thaligai and thanks for sharing. 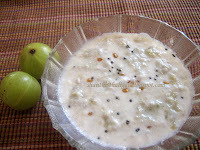 very perfect dishes..i couldnt find gooseberry but got agathi keerai..
A very nice post and thanks for sharing these authentic dishes. 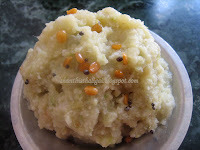 Delicious authentic dishes.. superaa irukku...an award is waiting for you at my space,please stop by and collect it. 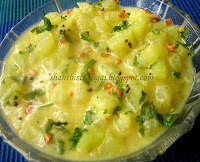 i don't get so many things here..amla,agathi keerai.. seriously feel like having all those seeing the picture. All mouth watering dishes. I would prefer Mor Kozhambu with Nellikkai Toghayal. Thanks for sharing. You are my adopted mother! LOL! Love all your recipes!